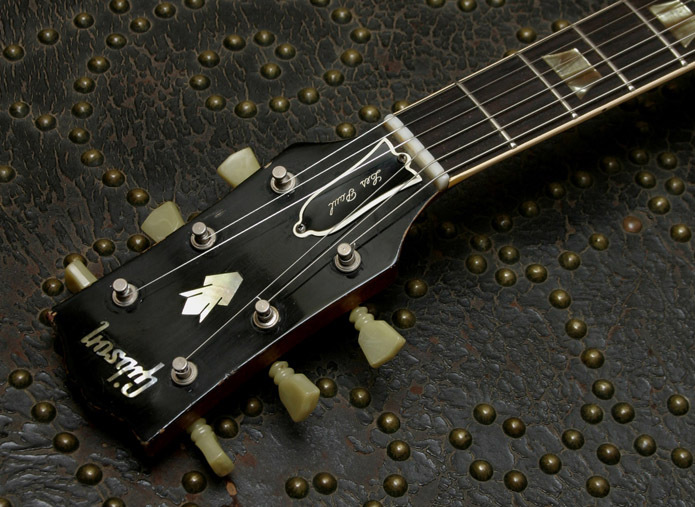 1963 and 1964 were the best years for the legendary early 60’s Gibson SG. 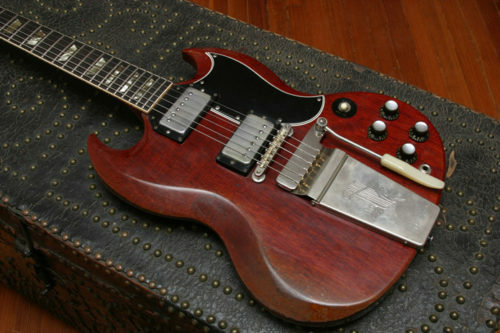 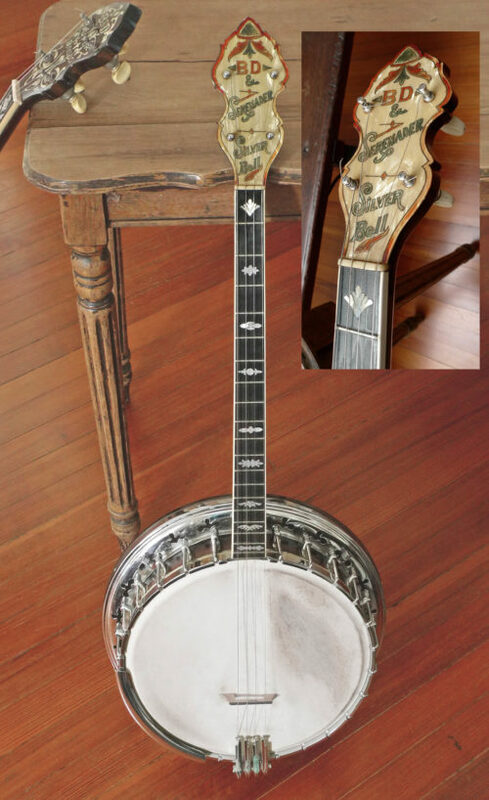 And 63-64 saw the transition from the Les Paul model to the “Solid Guitar” or SG. 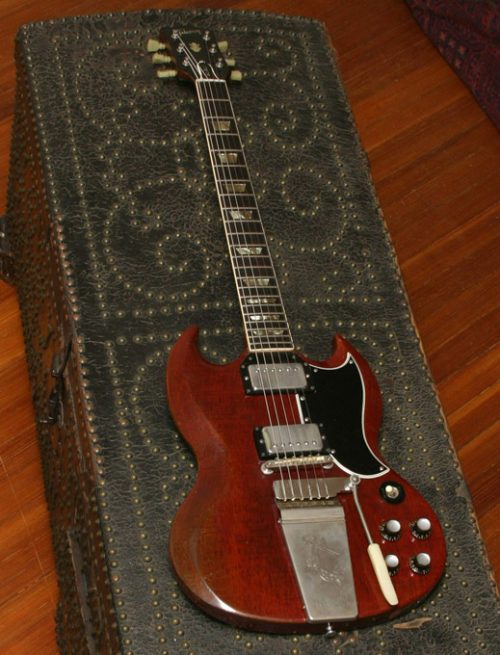 Only in 63 and 64 did Gibson use a particularly wide neck on the SG, and that’s why players love SG’s from these two seminal years. 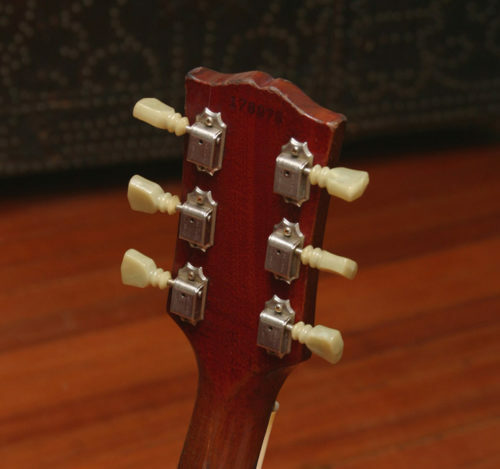 This ’64 SG is something of a transition model from the last of the double cutaway Les Paul/SG’s to the SG Standard-it carries the Les Paul truss rod cover (original to the guitar), and it features the great lyre vibrola (nickel). 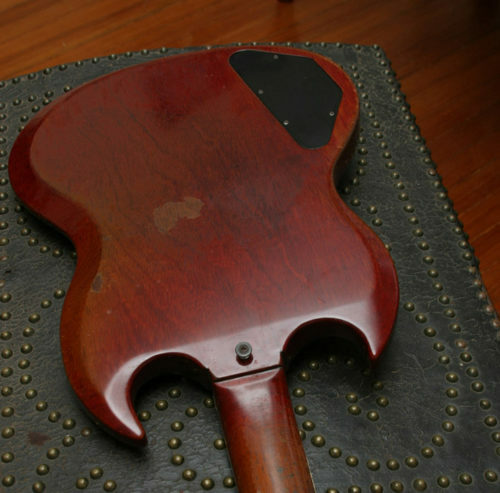 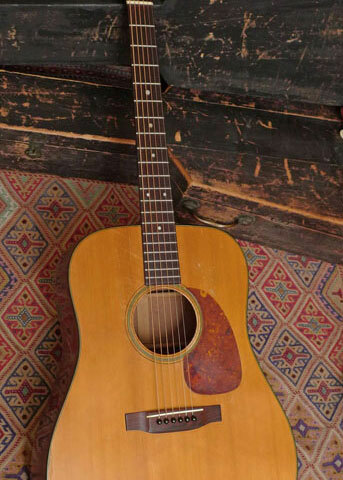 This 1964 SG, with all original finish, and original parts (including Patent # humbuckers), is a wonderful instrument with the right amount of honest wear to make it fit like a glove, and play like a dream in your left hand with that wonderful ample neck.